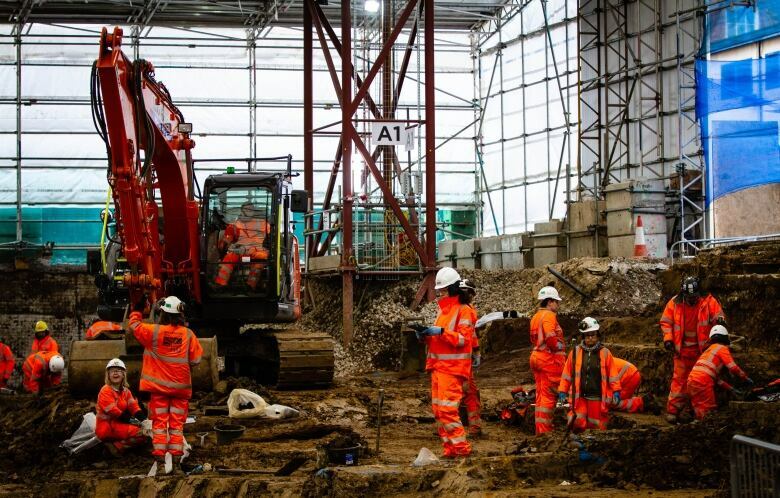 It may be a morbid scene to the uninitiated, but an exhumation process unfolding in London as part of massive U.K. archeological project is just one step in a government-approved plan to expand one of the city’s busiest train stations. An archeologist in fluorescent orange workwear carefully lifts an intact human skull out of a centuries-old coffin. Then she picks up a hip bone, followed by what looks like a femur. The operation continues until all the bones are arranged on a sheet to be analyzed at first and reburied somewhere else later. "It's exciting because human remains — unlike any other kind of archeology — really give you a connection to the people of the past," said Mike Court, lead archeologist of the project unfolding under a massive tent in northwest London. 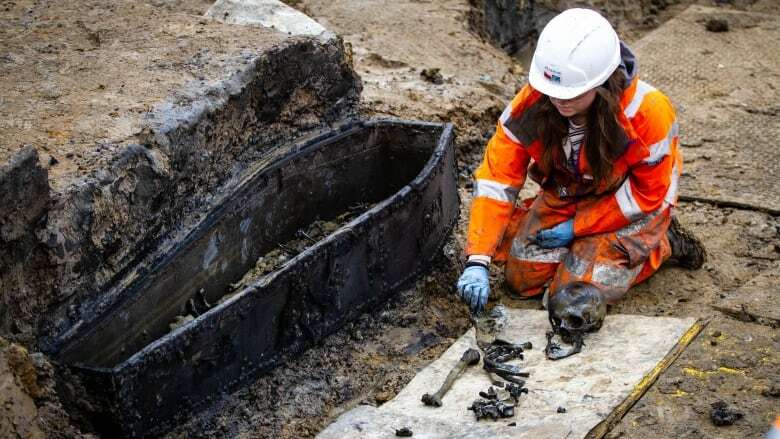 It may be a morbid scene to the uninitiated, but the exhumation process is being repeated thousands of times as part of what the archeologists involved say is Britain's biggest-ever archeological project. The massive endeavour is also just one step in a government-approved plan to expand one of London's busiest train stations. 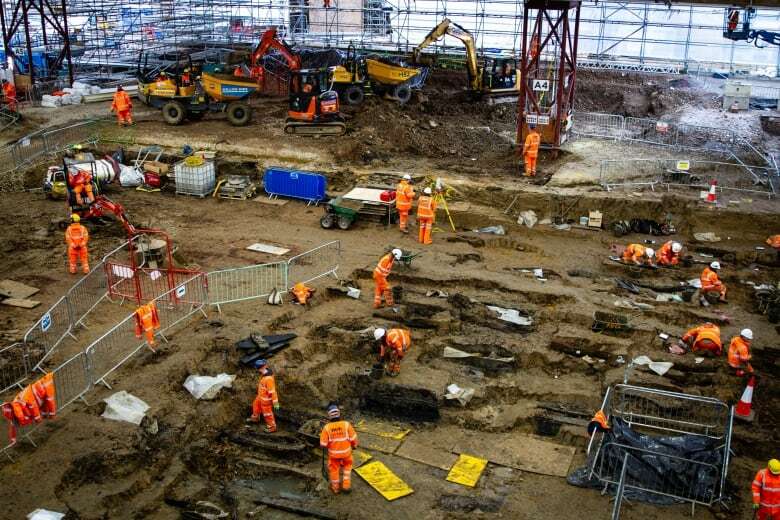 Over several months, more than 100 archeologists are excavating the remains of 40,000 Londoners buried between 1788 and 1853 when the area served as an Anglican burial ground. Some estimates suggest as many as 45,000 skeletons could be found in the area that later became a park. "It gives us this amazing chance to learn about our past in a way that we really haven't been able to before," Court said. The scale of the project has proven unprecedented and controversial. Hidden under a 10,000-square-metre white tent adjacent to the existing Euston station, the site is being transformed into the southern terminal of Britain's forthcoming High Speed 2 (HS2) rail network. The first phase of the project will link London to Birmingham with a new 225-kilometre rail line. The journey, which currently takes one hour, 21 minutes, is expected to be reduced to just 49 minutes when the new trains start running in 2026. Building the railway of the future first requires the unparalleled dig into the past. Along the entire line, a total of 1,000 archeologists are working on 60 sites like the Euston dig. Other sites could reveal ancient relics of Roman-era England. Human remains will be analyzed to better understand diets, diseases and lifestyles of the time period. Court, the lead archeologist, calls it "a huge logistical undertaking, but it's also a really interesting undertaking." In London, the old burial ground known as St. James's Gardens had long become disused and was turned into a park at the end of the 19th century. By then, the British government had banned most burials within the capital. Now, digging six to eight metres below street level has unearthed coffins made of wood and leather or lead. Archeologists have discovered human remains surprisingly intact. Watch archeologists exhuming skeletons in northwest London. A child's remains were found buried with a doll. Another coffin revealed someone buried with a wooden stake over their chest. "We don't think it's a vampire," Court joked. James Christie, the British naval officer now best known for founding Christie's Auction House, was also interred at the site. And archeologists were taken aback to find — and easily identify — the remains of Capt. Matthew Flinders, the first explorer to circumnavigate Australia, from 1801 to 1803. Flinders was also credited with giving the country its name. His remains were found with a breast plate bearing his name. "Given the number of human remains at St. James's, we weren't confident that we were going to find him," said Helen Wass, head of heritage for HS2. 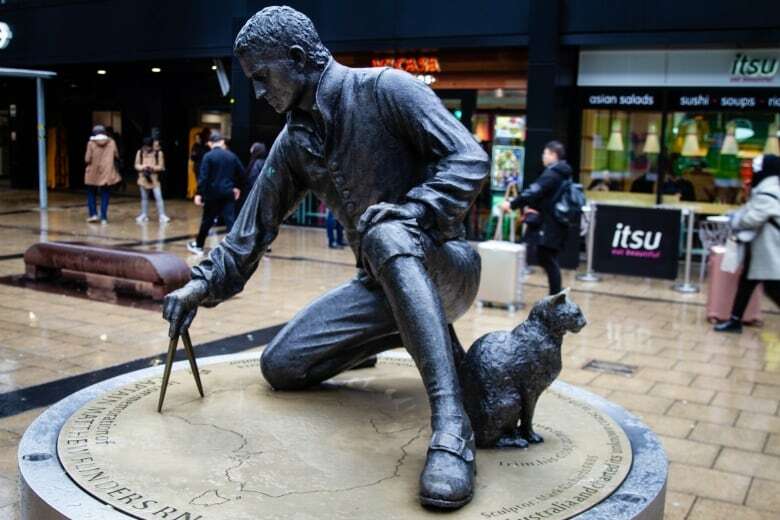 Flinders was long believed to have been buried under Euston's platform 15. The huge operation, in the northwest London borough of Camden, has upset some neighbours, who wonder about the need to excavate the exact location where so many people were buried. The new tracks will run through where the burial ground was, but some people feel the new station could have been built elsewhere in London, somewhere that 40,000 or more bodies weren't buried. At the dig site, project manager Caroline Raynor stressed in an interview with CBC News that all remains are being handled carefully. "It's all about dignity and respect for the people who are buried in the burial ground and that's the utmost driver for us here," she said. HS2 is working with the Church of England to locate a site to rebury all the remains together. 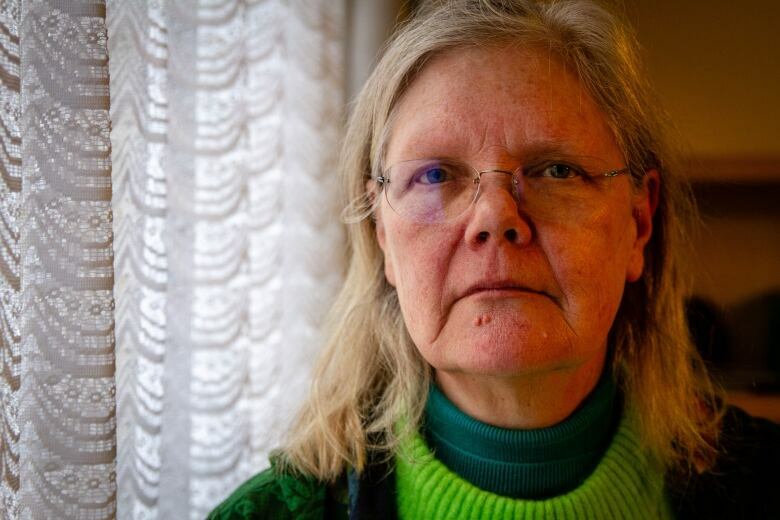 Local resident Dorothea Hackman, however, called the project "incomprehensible" and said it represented "disturbing the dead for no particularly good reason. "It's like discovering alcohol in a pub to discover that these people are buried in this graveyard," she said. "We knew they were buried in the graveyard." 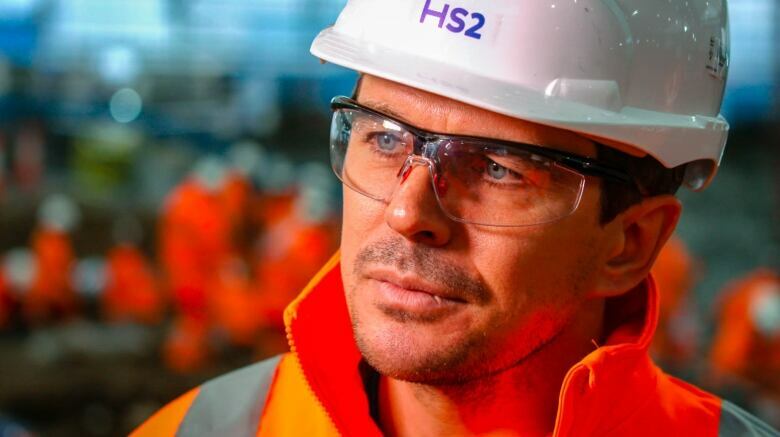 Hackman is a member of Stop HS2, a campaign group whose 2017 petition to cancel the rail plan was posted on the official government website and attracted 29,843 signatures. She and other critics also point to HS2's costs as a reason it should be called off. The government estimated in 2015 the project's total price tag would be £55.7 billion ($95.7 billion Cdn) but there are indications the costs have since ballooned. Recent figures suggest just the land acquisitions for the project will cost about £5 billion (more than $8.5 billion), nearly five times the government-approved price tag of £1.1 billion ($1.9 billion). A second phase of the project would see the high-speed line extended northward to Manchester and Leeds. If approved, the new portion of the network could be open to the public in 2033. That leaves plenty of time for debate and archeological surprises along the way.